Software will never be defect free. Testing is and will always remain an essential part of software development. Although major benefits can be achieved through Agile, there is most often still a quality challenge. During this presentation Erik will discuss a number topics that together will take care of first-class testing. Based on the European Foundation for Quality Management (EFQM) model, leadership, policy and strategy, process, people and infrastructure & tools are presented and put into today’s testing context. Finally some results that can be achieved following this approach are shown. 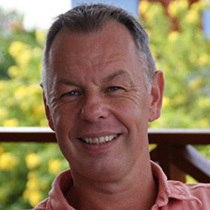 Erik van Veenendaal www.erikvanveenendaal.nl is a leading international consultant and trainer, and a recognized expert in the area of software testing and requirement engineering. He is the author of a number of books and papers within the profession, one of the core developers of the TMap testing methodology and the TMMi test improvement model, and currently the CEO of the TMMi Foundation. Erik is a frequent keynote and tutorial speaker at international testing and quality conferences. For his major contribution to the field of testing, Erik received the European Testing Excellence Award (2007) and the ISTQB International Testing Excellence Award (2015). You can follow Erik on twitter via @ErikvVeenendaal.